Open House Sunday 12-3, April 1. Adorable! Tiny House Living at it's Finest. 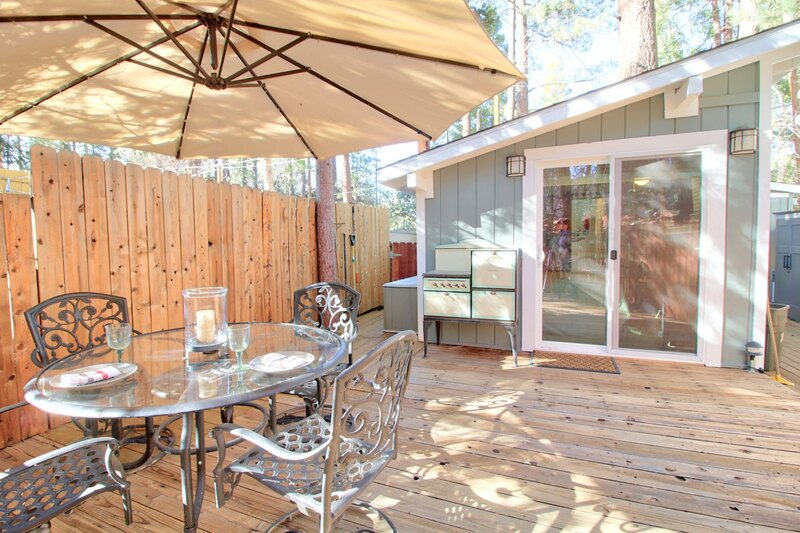 Introducing a quaint cabin located among the pines in the Southern California community of Idyllwild, CA. Located on a special lot and retreat with large deck, bridge over a seasonal stream. Across the street from town. Walk and enjoy restaurants, art galleries & movie theatre. 55+ Community. Remodeled in 2016-2017. A retreat with approximately 400SF interior with Approximately 400SF outdoor decking.